With a practice focused on e-discovery and technology, which has included pre-trial discovery during complex litigations, Nkosi Shields is currently the liaison for all discovery and document review issues for the BakerHostetler team serving as court-appointed counsel to the Securities Investor Protection Act (SIPA) Trustee for the liquidation of Bernard L. Madoff Investment Securities LLC (BLMIS). 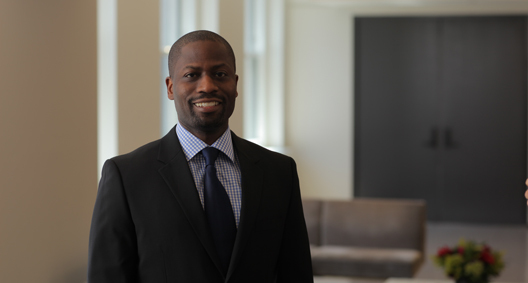 A member of the firm's internal Discovery and Litigation Support team, Nkosi works to expand these resources across the firm, providing an in-house resource for document review throughout other large and complicated litigations. Coordinates the logistics and organization of attorneys working on cases both in the document review and active discovery phases of litigation, managing the preparation of evidence to support the SIPA Trustee's claims against defendants in the ongoing liquidation of BLMIS. Ensures that both the case team and the unique needs associated with the BLMIS liquidation and its discovery requests are met. Represented a major aluminum can sheet producer in long-term supply contract disputes. Represented a major Wall Street bank in a U.S. Securities and Exchange Commission investigation. Represented a commercial real estate developer in an antitrust investigation by the Federal Trade Commission. Represented a major Wall Street bank in a dispute over credit card default swap agreements in litigation based in London.